The Americans With Disabilities Act (ADA), a federal civil rights statute, requires all state and local governmental entities, including the courts, to accommodate the needs of persons with disabilities who have an interest in court activities, programs, and services. The Superior Court does not discriminate on the basis of disability in employment or in the admission and access to its services, programs or activities. 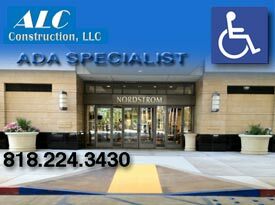 The Court has designated an ADA Coordinator at each Court facility to carry out each facility’s compliance with the nondiscrimination requirements of the ADA. Persons with disabilities who require a special accommodation to access Court programs, services or activities may request the needed accommodation by filling out the Request for Accommodations by Persons with Disabilities and Order form, Judicial Council Form MC-410. Forms are available by clicking on the form name below, at the Clerk’s office and the ADA Coordinator’s office of each Courthouse, and by mail upon request to the ADA Coordinator’s office. Submit the completed form to the Clerk’s office or ADA Coordinator’s office of the Courthouse at issue. Jurors requesting a special accommodations should submit the completed form to the Juror Services Department.